With its pedestrian-friendly layout and innovative urban design, Savannah serves as a balm for the senses. The city of Savannah inspires visitors with its emerald tree canopy, quaint cobblestone streets, and majestic architecture. 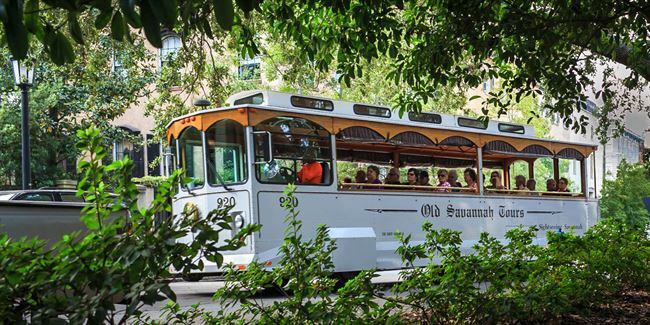 The top "must see" attractions easily show that Savannah's appeal is not only skin deep. 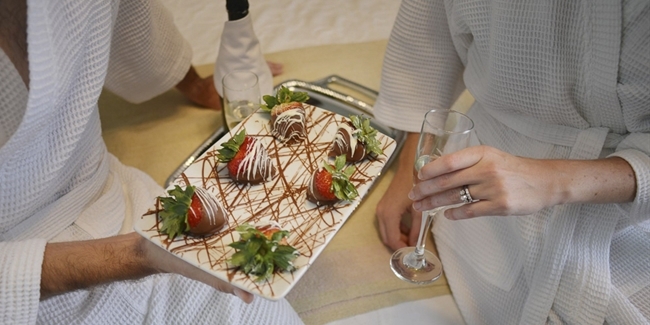 Go ahead and extend your reservations for another night! Savannah has plenty to show you. Our staff is excited to welcome you! We'll help you get your bearings, gather information about your interests, and get you out exploring Savannah. Stroll down Bull Street and over to City Market, a pedestrian area with artist studios, galleries, and restaurants. Be sure to indulge in a fresh praline from one of Savannah's candy shops. 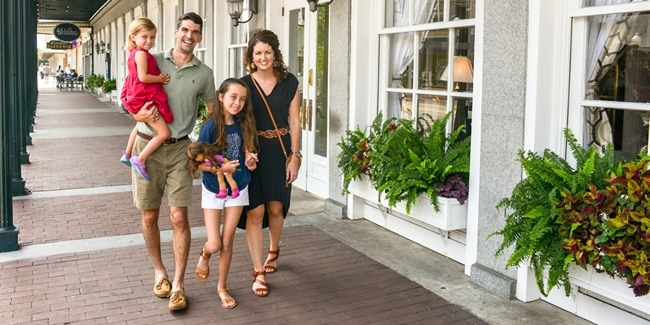 Whether you choose to have our concierge book a coveted table for a fine Low Country dinner, or prefer to stop for a bite when the mood strikes, Savannah's dining scene will not disappoint! Nightlife in Savannah can mean live music, traditional pub, or lively club. Just don't forget, you can "get it to go" and explore the Historic District with adult beverage in hand. Hit the ground running! ... or walking, bicycling, or on a "Hop On/Off" trolley tour. 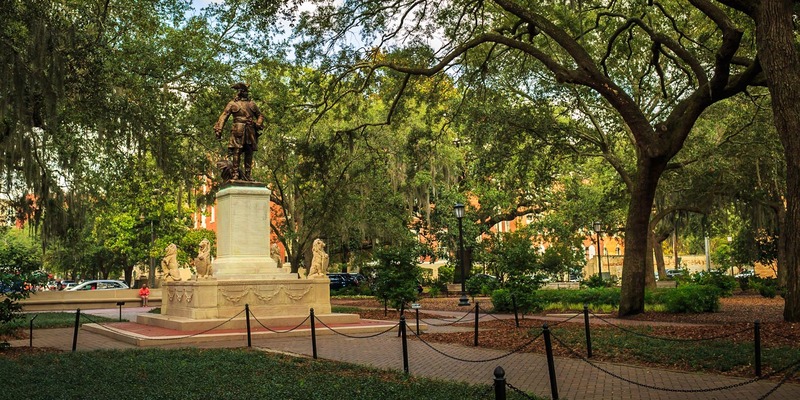 Get down to the southern boundary of the Historic District, 26-acre Forsyth Park, and meander your way back up to Jones Street. Choose from Mrs. Wilkes' Boarding House, The Public Kitchen, or Collins Quarter for a lunch you won't soon forget. After lunch, a visit to the Andrew Low House Museum gives a fascinating look into life in Antebellum Savannah. Discover that grits are better with shrimp on top, fried chicken and waffles really do go together, and take dessert to a whole new level at Savannah's best-known restaurants. "What are you drinking'?" Savannah's favorite question for a reason. Head to City Market for live music, well-crafted spirits, and maybe even some ghostly spirits later on. An early morning walk down River Street avoids most of the crowds in this popular area. Grab a coffee and pastry to go from a local Savannah coffeeshop and watch the ships come up the Savannah River to port. Walk from City Hall to Forsyth Park, down Bull Street. Along the way you'll visit Wright Square Antique Mall, Juliette Gordon Low Birthplace, Sorrel Weed House, the Mercer-Williams House Museum, and Congregation Mickve Israel. After an indulgent dinner, don't miss a special ice cream treat at Savannah's favorite creamery, Leopold's Ice Cream. Find your private getaway at your inn of choice. Whether that's a balcony king room at Marshall House, a corner king suite at East Bay Inn, a luxurious king room at Kehoe House, or the Honeymoon Suite at The Gastonian, we'll find a room to fit your fancy! Explore the Historic District hand-in-hand with your sweetheart. 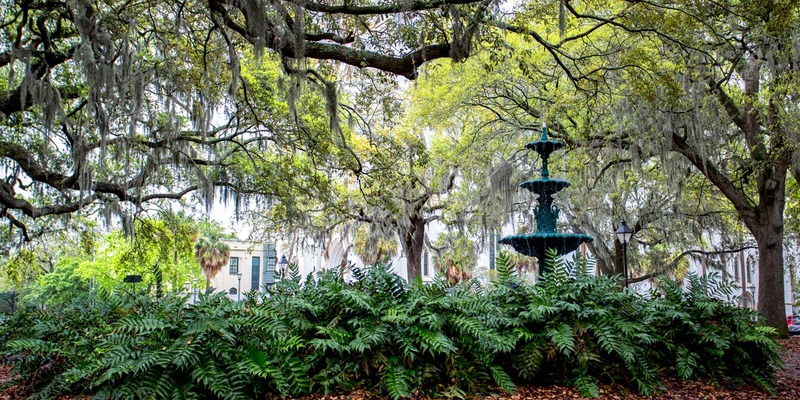 The air is heavy with the sweet scent of jasmine and tea olive; and Savannah answers the call for romance with shaded parks, brick-lined promenades, and benches along the way. From cozy bistros to white-linen fine dining, Savannah restaurants will set the perfect backdrop to your date night. When the sun sets, Savannah takes on a whole new glow. Our concierge team will recommend a quiet bar for a nightcap, or a spot with energetic live music and dancing. Check in at The Marshall House, East Bay Inn, or Olde Harbour Inn and you're right in the heart of the family-fun action! The Savannah Children's Museum and Georgia State Railroad Museum are right next door to each other and provide hours of entertainment! Learn about steam engines, get lost in the exploration maze, or build a fort at these great sites. Leopold's Ice Cream is hand-crafted here in Savannah using the original, secret recipes handed down to Stratton Leopold by his father. The Pirates' House is a long-running, pirate-themed restaurant offering hearty Southern fare in a rustic, historic building, established in 1753. 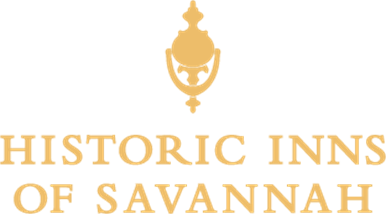 The Footprints Tour is the complete story of Savannah's antebellum years and threads together the story of how intricately the city and its citizens were involved in the institution of slavery. Established in 1865 as a school to educate newly-freed black residents of Savannah, Beach Institute serves as an African-American cultural center, featuring art exhibits and a unique collection of hand-carved wooden sculptures. This restored 1896 Victorian cottage serves as a cultural museum, emphasizing the contribution of African-Americans to Savannah's history, and to the nation as a whole. 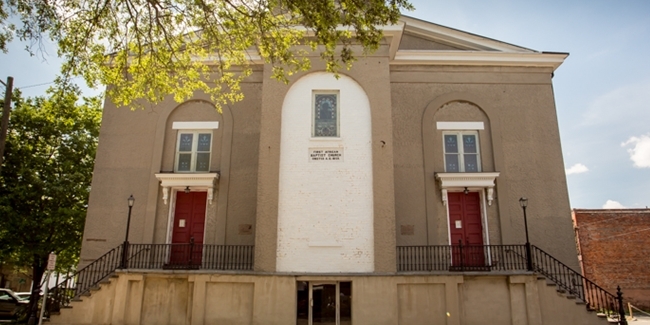 The oldest active Black church in North America, this church served a vital role in Savannah's Civil Rights Movement and features unique stained glass windows of African-American subjects. The final resting place for many of Savannah's African-American residents since 1852, Laurel Grove South is one of the most historic cemeteries in Savannah. Dedicated to the civil rights movement, this museum celebrates the contributions of African-Americans through exhibits that showcase Black history and cultural achievements. 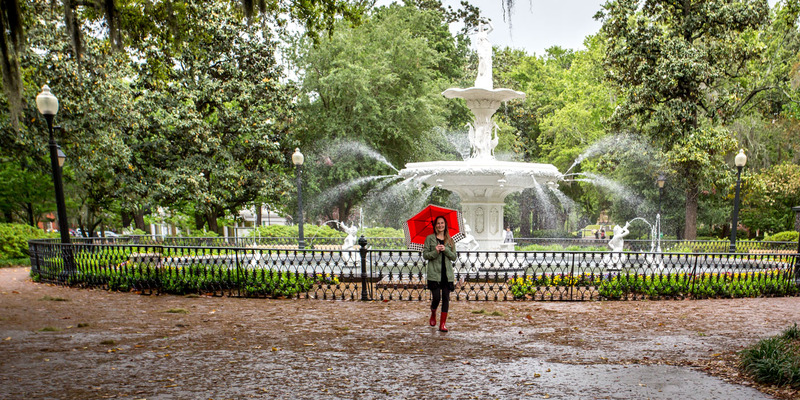 If you get caught in the rain during your Savannah vacation, we have an itinerary for that too! Savannah's sultry weather means sometimes even the clouds have to just let it all out. But don't fear, if you find yourself in a Savannah Shower, there are plenty of indoor activities until the sun returns. Ask your concierge to plan sites near to each other so you can easily explore many spots in an area. A favorite combo is The Jepson Art Center and Telfair Academy. Then scoot over to Wright Square Cafe for lunch and be sure to visit the galleries and antique stores next door. And what better excuse for indulging in a day of beauty and a massage? Favorites close-by are Milan Day Spa and SpaBleu.